In addition, the longer you stayed in the diversified portfolio, the more likely you were to experience the 91-year results. 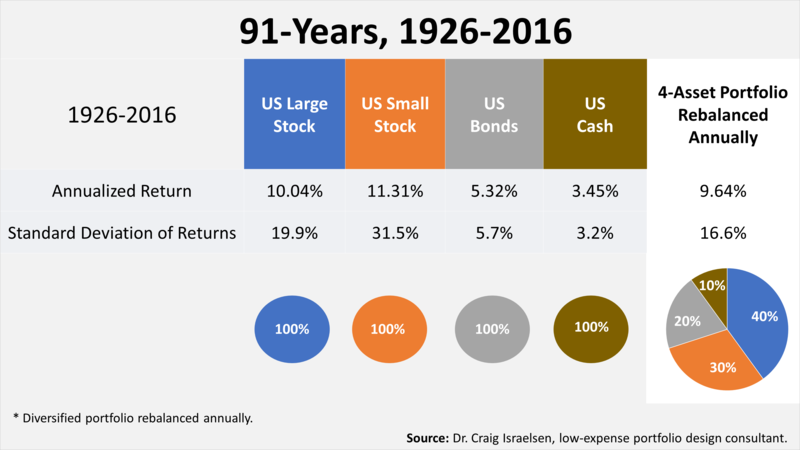 While holding the diversified portfolio for five years beat the 91-year return of 9.6% in 56% of the 12-month rolling periods over the 91 years, holding the four-asset portfolio for 35 years beat the 91-year results in 88% of the 12-month rolling periods. 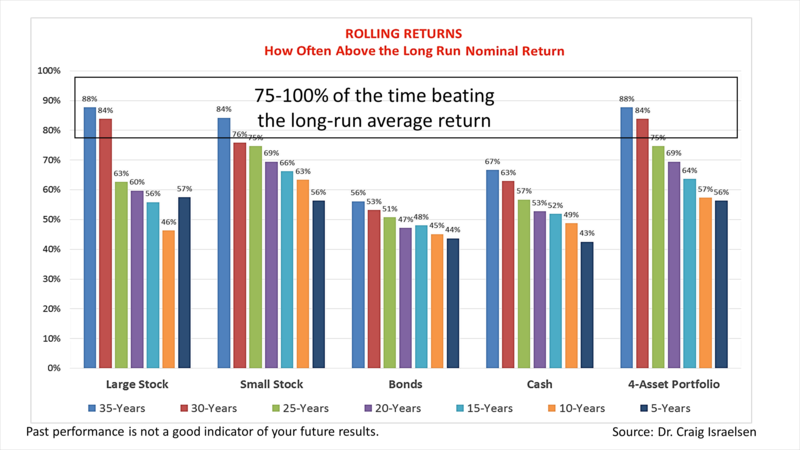 Past performance is not a guarantee of future results, but these results show that the longer you invest, the more likely you are to experience the 91-year return and risk statistics. Recently, volatility surged after investors were spooked by rising inflation and lending rates, and growing concern over the long-term U.S. debt. Statistically, the chance of a bear market decline of 20% or more increases as the eight-and-a-half-year bull market grows older, and the new tax law increased the chance of a Federal Reserve interest-rate policy mistake quashing growth for allowing inflation to surge. Fed mistakes caused every recession in post-World War II history.